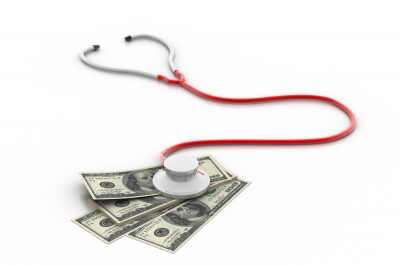 The Medicare bundled payment initiative seems to be gaining traction among healthcare facilities and providers. Following are 5 practices that have proved helpful for private practitioners trying to move to this value-based method of payment. 1. Creating a unifying patient care vision and challenging everyone involved to creatively find strategies for the actualization of this vision. Here, you first need to create an inspiring vision to provide guidance for yourself and the people working with you. An example of a good vision might be; to create a care system where a majority of patients are safely and appropriately discharged with as few readmissions as possible. Also important here is to encourage everyone involved to come up with creative solutions for existing challenges and obstacles to achievement. In addition, it also helps to spread your improvements through out the practice by applying systematic delivery to all patients irrespective of whether they’re reimbursed under a bundled payment plan or not. The only secret to profitability under the bundled-care system is to understand total costs over an episode of care. You’ll need two sets of data in order to fully understand your costs; provider-generated and payor-generated data. Provider generated data is data that comes from processes put in place by you and your staff. The most common way of acquiring such data is to collect the particular costs as the patient goes through the different stages of care over the length of the entire episode of care. Payer generated data basically comes from claim based reports (usually on a monthly basis). You might create a baseline and use it as a benchmark for documenting patient progress. There should be specific goals with timeframes for each goal. Then you can check daily to see if the patient is progressing at the projected rate. Additionally, it helps to standardize care and identify variations where necessary. This will create a common way of understanding patients and, by extension, help you standardize care. The restructured practice organization should have 4 areas of focus; an executive leadership team, a problem identification/resolution and quality improvement function, a payer interaction platform and a patient satisfaction program. Once you have these in place, arrange for meetings with all the different functions to periodically review variances from the standards developed. 5. Continually communicate with patients. Patient satisfaction cannot be underestimated when working under the bundled payment program – it holds the key to increased patient engagement and plays a significant role in bettering clinical outcomes. Increased patient engagement creates a baseline against which you can measure patient recovery and helps you to set realistic goals for the period of care. Keeping a large number of contacts is helpful to this course as it helps with quicker understanding of problems and provides you with a larger support base.